Arrive at Kuala Lumpur International Airport. 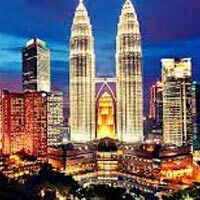 Our tour representative shall meet you and assist your transfer to Genting Highlands. The beautiful mountain resort is located within the Titiwangsa Mountains at elevation above 5000 feet. Comprised of charming tourist delights, Genting still maintains the natural beauty of the rainforest. En-route stop to visit Batu caves. 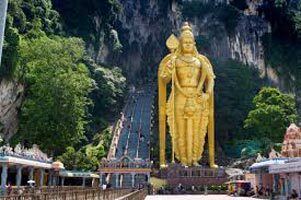 The famous Hindu shrine in Malaysia are caves built of limestone are 100 meters high and 400 meters long. After visiting the caves drive straight to Genting Highlands. Check into your hotel room. Overnight in Genting Highlands. Start today with a hearty breakfast in your hotel. After breakfast proceed to the Genting Indoor Theme Park & Snow World. The comprehensive entertainment zone is perfect for an adrenaline filled day. This Theme Park comprises adventure, fun and excitement for the whole family. Enjoy the opportunity of a ride on the Genting Skyway Cable Car. The beautiful cable car ride offers views that are spectacular. Return to hotel for overnight stay. Today enjoy an early morning breakfast. 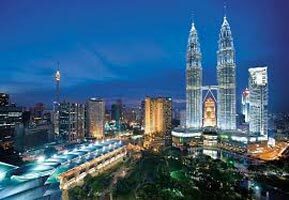 Post meal, drive straight to Kuala Lumpur, the Malaysian Capital. Check-in at one of our listed hotels to rest and relax in its cozy comforts. A half day city tour is organized. Start your tour with visit at King Palace and Masjid Jamek. The former residence of the Yang di-Pertuan Agong (Supreme King) of Malaysia stands on a 13 acre site, located on a commanding position on the hill of Bukit Petaling overlooking the Klang River. Later in the day explore the National Monument dedicated to the fallen heroes. Enjoy the sight of Moorish architecture of the 19th century in Sultan Abdul Samad Building and the Railway Station. Also catch a glimpse of the National Museum and the beautiful Thean Hou Temple. Visit the Golden Triangle area cruise and the Independent Square before driving through Chinatown. While exploring this beautiful city take a look at the fine range of intricate Malaysian handicrafts Karyaneka. 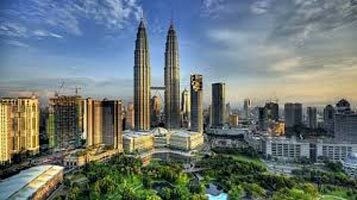 Later in the evening pay a visit to the majestic illuminating view of the tallest Petronas Twin Towers and enjoy exploring the bustling China Town. Return to hotel for overnight stay. Today after breakfast proceed for full day Sunway Lagoon Tour. Enjoy a day of entertainment with over 80 rides and attractions and within 15 minutes from Kuala Lumpur in Sunway Lagoon. The entertainment park is perfect for all visitors. The adventure park is separated into three major themed lands, each boasting their own exciting attractions. Find entertainment, adventure and excitement in all place. Your ticket includes Water Park Amusement Park Extreme Park and Scream Park. After an excitement filled day, return for overnight stay in the hotel. Today you can have a leisurely breakfast. The day is free for your activity. Choose to spend the day indulging in the pampering luxuries of your hotel or go exploring by yourself. Kuala Lumpur is a refreshing city. Experience the bustling markets filled with crowds from all over the world. Go shopping in the capital. There are more than 66 malls and various street markets. Savor the delicious food. Owing to its multi ethnic population the city gastronomy is delightfully varied. Return to hotel overnight for stay. Today, post breakfast get timely transfer to airport to board a flight for your onward destinations. Return home with cherished memories of wonderful Malaysia.